You can be confident that ocean plumbing and gas services are a professional team here to help, giving every customer nothing less than the best every day of the year. 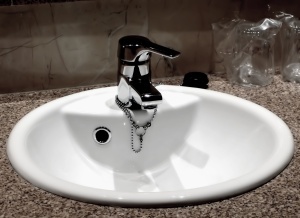 Emergency plumbing works are always available including after hours and weekends. Ocean plumbing and Gas services are experts in plumbing and gas with over 20 years experience trained to the highest Australian standards. We have been on the Sunshine Coast for many years and continue to service and maintain a reputation based on our professionalism and reliability. With our fantastic existing clients and builders; and with the help of new clients we hope to always continue to do so. We operate on the Sunshine Coast from Caloundra to Gympie, covering all suburbs from ocean to range. Solar - We are fully endorsed solar and heat pump specialists, we can supply,install and repair a wide range of systems to suit your needs.We can also claim STC’S (small scale technology certificates) on your behalf and deduct this off your bill, so the money goes straight back in your pocket. 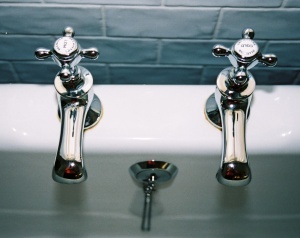 Electric - We can supply, install and repair a wide range of electric hot water systems. We will make sure the system is suitable for you, to fit in with your budget, home/office and your capacity/usage requirements. Ocean plumbing and Gas services have access to a fully qualified electrician. Gas - Gas hot water systems produce far less greenhouse gases than electric (approximately 25- 33%). We are fully licensed gas fitters. Ocean plumbing and gas services can supply, repair and install a wide range of gas hot water including gas storage, gas boosted solar, continuous flow and energy efficient condensing units. GAS - We are fully licensed and insured commercial and residential gas fitters. We offer all aspects of gas fitting ,service and repair, from household cook-tops and gas fires to commercial kitchens and hot water systems. Ocean plumbing are approved Elgas installers who can offer you elgas credits to all potential customers. Another option would be having your gas bottles in the ground. 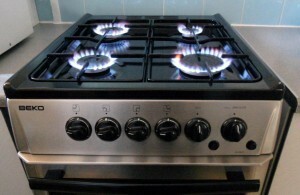 We have access to a large range of gas appliances to suit all your needs. ROOFING -We offer a full range of roofing works including new roofs, roof repairs, leaking roof problem solving, guttering, gutter guard, flashing, box gutters, rain head’s , whirlybird installations, sky light installations ,plus much more. We can provide any colour bond colour and profile to suit your needs. 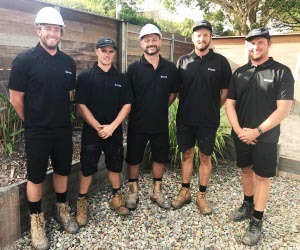 PLUMBING MAINTENANCE - Ocean plumbing and gas services offer a full maintenance service to all commercial and residential properties including homes, offices, schools, real estates, body corporate,high rise buildings, and holiday letting properties, to name but a few. No job is to small, we do it all. Dripping taps, running toilets, toilets that don't flush, washing machine / dishwasher / fridge installation, new WC's, cisterns. Any plumbing problem you have we can help. 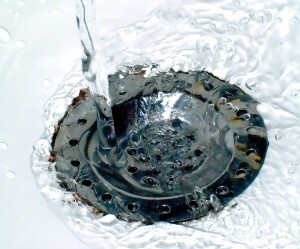 Ask Ocean Plumbing and Gas services about your water saving options. DRAINAGE -We can install and repair all aspects of drainage and provide all stormwater solutions at all residential and commercial properties. 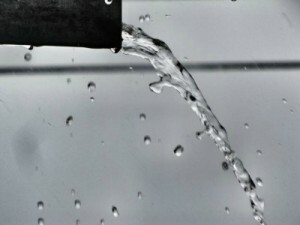 If your drains are blocked we are able to unblock them using a water jetter or electric eel. We can then locate the problem using the camera so we are able to repair the problem at hand. We can install pits, AG drainage, septic tanks, effluent trenches, storm water cells, pumps and much more. WATER TANKS - With rising water costs, why not install a rainwater harvesting tank to wash your car,fill up your pool,water the garden, wash clothes or even flush the toilet. There are many different sizes, colours and brands on the market. We can help you make a decision based on your usage and requirements. Hi we hired your company to cure a stormwater drainage problem at the rear of our property, Peter and Brenton came promptly and gave us his expert advice, quoted a fixed price which we accepted, your company turned up on time and finished the job to our complete satisfaction, you have two excellent employees and they are a great testimony to your company, thank you so much for a good job well done!!!! Thank you for clearing our blocked and smelly drains, your expertise was second to none, I have kept your number for next time I need a plumber. Ocean you are always on time, very informative and friendly, I know what I pay for on every job you do for us, you offer value and quality every time. I wish to thank you for the solar hot water system you sold me. You were extremely helpful and professional. My husband and I would like to commend the team for a couple of weeks ago, it was raining and we really didn’t expect you to turn up. You rang and told us you were waiting for a ‘window’ and that you would be with us soon. You stuck to your word. I can't commend you highly enough. May I say it has been a pleasure dealing with Ocean Plumbing and Gas services. The level of service you offered by putting our needs first all the way through the project was brilliant. We love our new bathroom and laundry. I would like to express my thanks for the prompt attention to our drainage problems. You did an excellent job and worked without a break from 7am until 4pm. We had torrential rain the next day which was a great test and everything passed with flying colours.